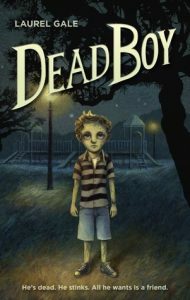 YA Review: Dead Boy by Laurel Gale | Got Fiction? Every now and then one of my kids is super excited about a book, and I like to share. This is one my daughter (who I struggle to get to read) finished and was so excited about. Then we got to meet the author and I bought her an autographed copy. 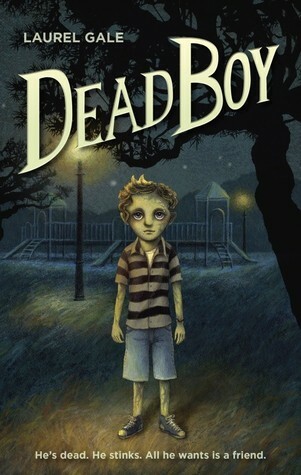 In Dead Boy we find out the main character Crow is dead, and his parents won’t let him go outside. They’re afraid that if people find out he’s dead, that he’ll get taken away and experimented on. But what they don’t know is that he’s sneaking out at night. Crow meets a friend during the day, so they plan to sneak out at midnight. Melody and Crow become really good friends, and she finds out he’s dead. But she doesn’t mind. 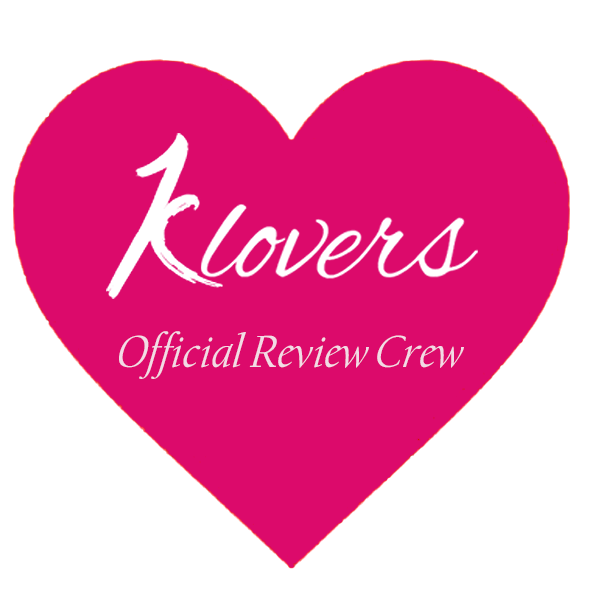 After the couple of nights they hang out together, they decide to meet up on Halloween night to find what made Crow stay alive after he died. He doesn’t remember how he died. When they go to the park they see a monster with glowing red eyes, and they see it can change into anything. At the end, he wishes to be a real live boy, but you’ll have to read to find out what happens. I liked it so much, I bought a copy when I met her at my Library last year. It was my first autographed book!